Donate to South Africa - WaterBrick | Building Hope...Saving Lives! In 2009 we began working to develop a community school in a remote village in Mkuze, South Africa. Built entirely of WaterBricks, the Ngwenya Tribe School will contain eight classrooms and offer education for grades 1 through 10. It will enable more than 350 children to attend school in their local village school rather than making the often hazardous 9.5-mile round-trip walk to their present school. 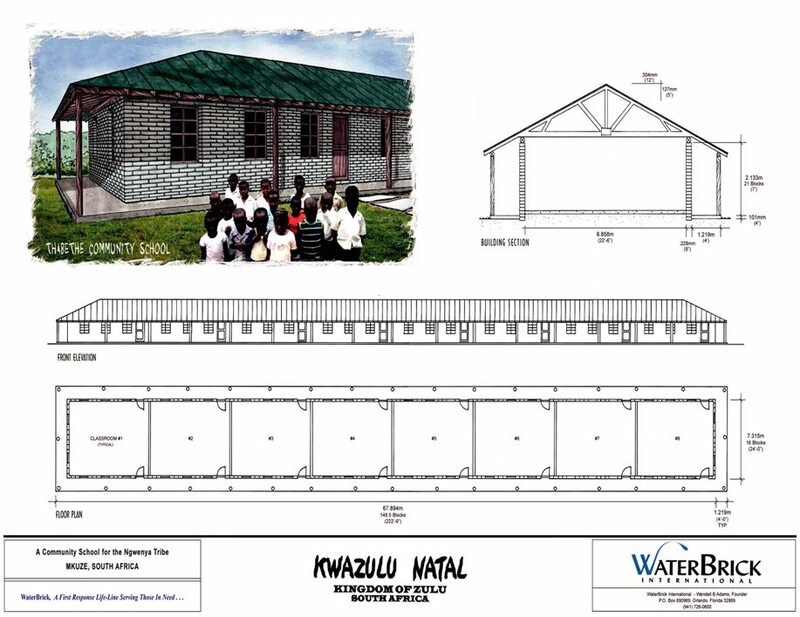 To learn more about this project and to donate, contact us today at info@WaterBrick.org or call at 1-877-420-9283.